A strong trough over UK rapidly translates towards France. 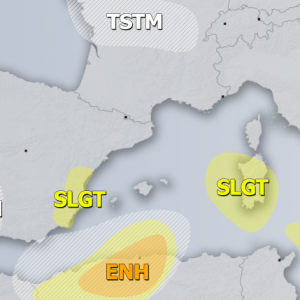 A weak upper low over southern Mediterranean finally weakens and merges with lower geopotentials over the Balkans. A MDT risk has been issued for S Greece and Crete with threat for severe winds, heavy excessive rain, large hail and some tornado threat. Locally high rain amounts still possible. 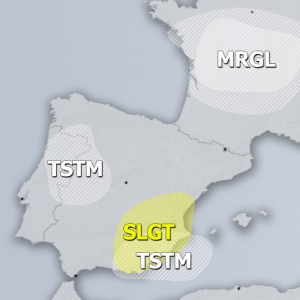 A SLGT risk has been issued around the MDT risk over Greece, parts of Aegean sea and S Mediterranean with some threat for waterspouts, heavy rain, hail and severe winds. A MDT risk has been issued for areas north of UK and towards Iceland for severe non-convective winds within the back side of the trough / cyclone crossing the region. 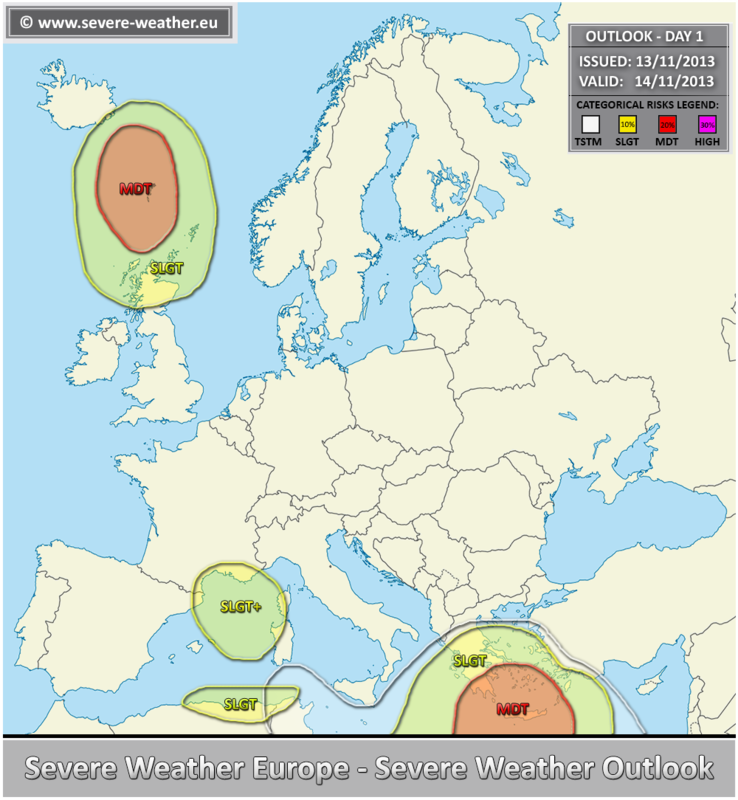 A SLGT risk has been issued around the MDT risk across N UK towards Iceland with threat for severe winds. 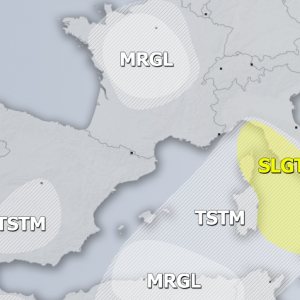 A SLGT+ risk has been issued for NW Mediterranean towards Corsica and Sardinia with threat for severe non-convective wind gusts. Wind gusts exceeding 100 km/h seem likely.